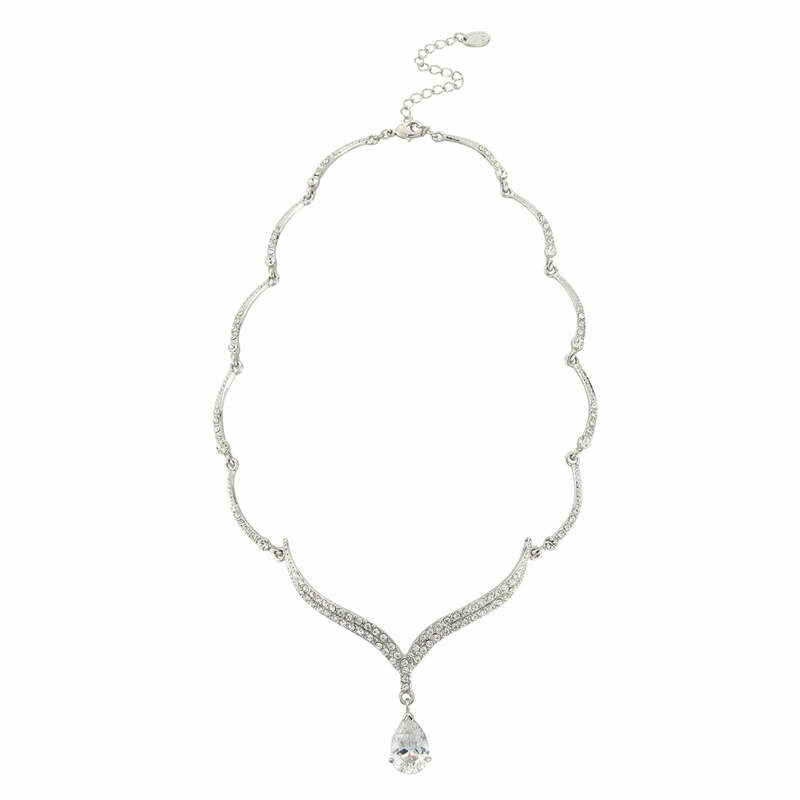 Combining the classic glamour of 1940s necklaces with understated style in a beautiful crystal drop design. Perfect if you adore glamorous 1940s inspired necklaces with subtle and chic style, Silver Screen Beauty Necklace could be mistaken for a diamond 'piece'. Featuring a silver tone scalloped design encrusted with Austrian crystals and a wishbone centre enhanced with a sparkling pear cut cubic zirconia drop, this beautifully replicates 1940s vintage jewellery. A fabulous necklace for a special occasion, it looks stunning teamed with coordinating Silver Screen Beauty Earrings for a look that is glamorous and effortlessly classic. Simply an exquisite wedding necklace for brides who wish to add a touch of subtle vintage sparkle, it particularly enhances stapless bridal gowns or dresses with a wide v-neckline. Accentuate its 1940s style with a dramatic side tiara or headpiece.